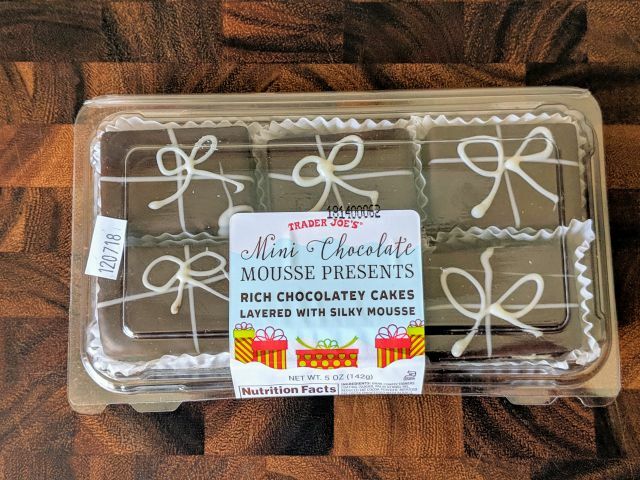 Trader Joe's Mini Chocolate Mousse Presents feature chocolate cake layered with chocolate mousse covered in a dark chocolaty coating. 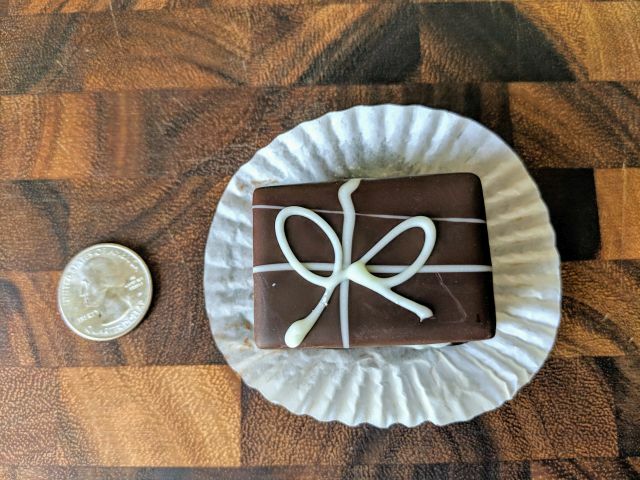 It cost me $2.99 for a 5-oz box of six mini cakes. The dark chocolaty coating was like a ganache with a rich, smooth, and slightly liquid quality to it. There was a really nice dark chocolate flavor to it. Inside, the dessert was about even parts mousse and cake. 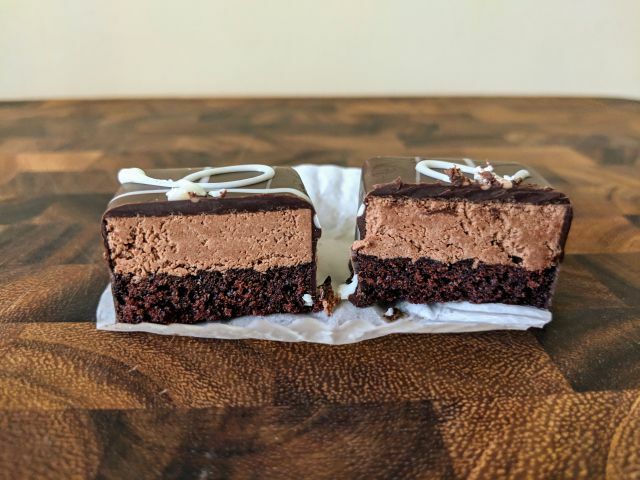 The cake offered an enjoyable, moderate chocolate flavor while the mousse provided a creamy, milder note of chocolate with a fluffier texture. Overall, Trader Joe's Mini Chocolate Mousse Present turned out really well. It's like a more indulgent, higher quality take on the common snack cake. It reminds me more than a little of less dense, portioned-controlled version of Trader Joe's Chocolate Ganache Torte.